Spend $99 dollars on the box, and not a thing on the games. Console makers are usually wary of giving the average consumer too much access to the inner workings of their hardware, but a new company has the intention of doing the opposite. 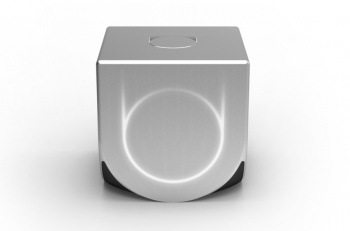 Tech startup Ouya is intending to release a $99 Android game console with an open developer ecosystem and all its games free to play. The console, which can be connected to a TV, allows users to self publish their titles for others. Dev kits will be included with every purchase of the system, so budding developers can share their work straight out of the box. The project listing claims that it is "built to be hacked", so you can turn it into a media streaming centre, or build and program your own game controllers if you're so inclined. No details on the hardware have been released just yet, although one should expect modest specs for its initial asking price. The Ouya team has some power-players in its ranks. IGN's Julie Uhrman is the project's founder and CEO, while ex-Microsoft vice president Ed Fries and One Laptop Per Child designer Yves Behar both play an advisory role. Muffi Ghadiali, who helped to ship Amazon's Kindle, is also on board. The console's open environment for developers certainly promises some exciting potential projects beyond merely "Android on your TV", but it will ultimately be the console's hardware support that will be an indication of its true potential.